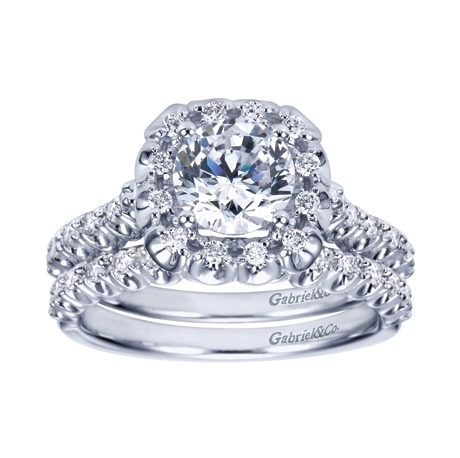 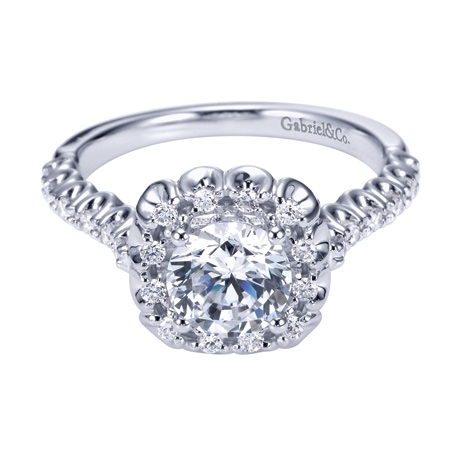 Love is in full bloom with this contemporary halo engagement ring. 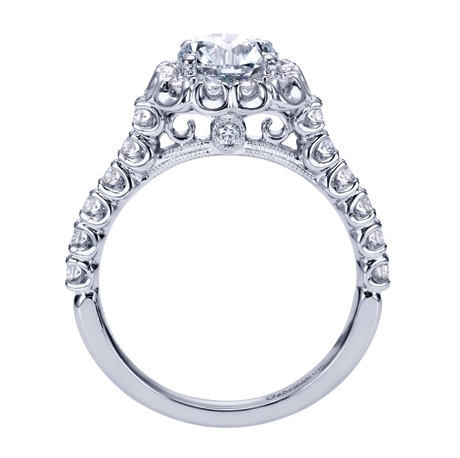 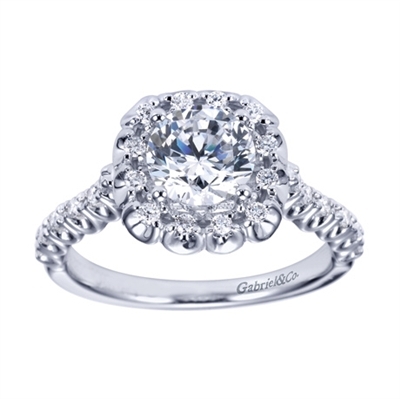 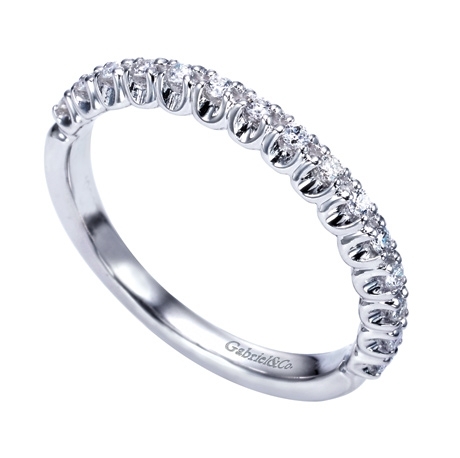 14 prong set round brilliant diamonds heighten the allure and romance of this ring. 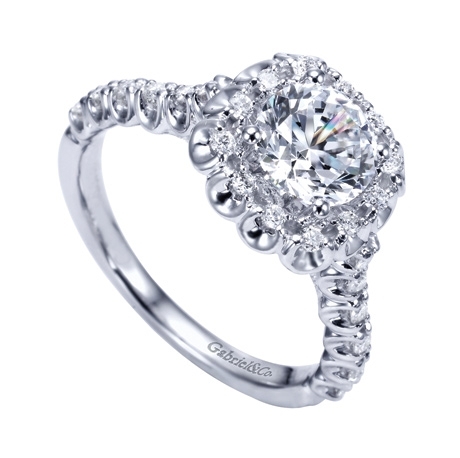 A uniquely set round brilliamnt diamond halo with a quarter carat in diamonds encircles a round center diamond in this upbeat and contemporary white gold or platinum engagement ring.